Despite what Hollywood might tell you, the battle against the Sicilian mafia wasn't led by cops or judges. It was organised by the workers' movement. The burial of the political character of those who have fought the mafia has shaped public memory. It suits those who want to relegate this fight to a merely judicial matter — upholding legality — and ignore the social question behind it. But for more than a century the mafia has waged war on rebellious peasants and farm labourers, communist and socialist militants, trade unionists and Communist members of parliament. The resistance against its control has been equally political. Since the last decade of the nineteenth century, the struggle against the mafia has been a struggle against the power of both the ruling classes and their allies; indeed, the mafia itself has over time merged the two categories. This is a Sicilian history but also a mirror of Italian national history and the massacres ordered by the state. Those who directed these crimes remain unpunished. Yet they belong to that bourgeois power bloc that has for so long used armed groups, fascists, and the mafia to execute its orders. Several studies have demonstrated that the mafia emerged in the last decades of the nineteenth century as an organisation designed to protect the profits that the citrus fruit trade (and its foreign exports) had brought the latifondisti (big landowners). Mafia gangs defended profits not only on lemons and oranges but also on sulphur, as the mine owners sought organised protection. The gabellotti — entrepreneurs who rented and managed the big landlords’ properties — were also mafiosi or mafia-linked. They were flanked by the campieri, a private police force that kept order in the estates, as a sort of ancestor of today’s caporali (work-gang bosses) — figures who controlled the workforce by means of violent repression. This in turn brought resistance. Such was the case of the Fasci dei Lavoratori (Workers’ Leagues), also known as the Fasci Siciliani (Sicilian Leagues), a popular movement that developed between 1891 and 1894 before it was bloodily repressed by the Royal Army under prime minister Francesco Crispi as well as the mafia. These groups emerged as a response by subordinate classes as Sicily’s landowners offloaded the costs of the island’s agricultural crisis onto day labourers and miners. Officially founded by Giuseppe de Felice Giuffrida on May 1, 1891, they were organised in territorial sections at the provincial level. They had an explicitly socialist approach, unlike the various other leagues that emerged in other Italian regions, which were strongly influenced by anarchism. The movement of farm labourers, sulphur mine workers, and peasants demanded better working conditions, a shortened working day, increased wages, and a reduction of the duties owed to the landowners or the gabellotti running the farms. But they also called for agrarian reform that would redistribute land ownership. They were, by definition, against the mafia, because they were fighting both for status and in opposition to the economic and military oppression imposed by the mafiosi. Alas, the movement was indeed broken up. But it did not die completely — for the fight for land and the liberation of the toiling classes, as well as the movement’s socialist inspiration (later complemented by a communist one) was destined to have a long history in Sicily, if oft-forgotten. Indeed, it was thanks to the “long wave” of the movement for land and a democratic agrarian reform that the Italian Communist Party (PCI) was able to build support on the island and become a mass party at the end of the Second World War. In the April 20, 1947 regional elections the Communist and Socialist-run People’s Bloc secured 29.13 percent of the vote, as against 20.52 percent for the Christian Democrats. The popular layers of society organised, struggled, and voted against the power bloc of which the mafia was part. However, in this cause they faced deadly repression. Already in the first months of 1947, before the election, the mafia had murdered Nunzio Sansone (founder and secretary of the camera del lavoro [labour hall] in Villabate), as well as Leonardo Savia — like Sansone, a Communist in the forefront of the fight for land reform. Mafiosi also killed the activists Accursio Miraglia and Pietro Macchiarella. After the Sicilians gave their verdict at the ballot box, showing that they would not be intimidated, the mafia responded with an outright massacre at Portella della Ginestraon May Day 1947. At the rally to mark International Workers’ Day in the small Sicilian comune, a hail of machine gun fire killed eleven people and left almost a hundred injured. It is a fact that the reaction to left-wing extremism is taking on impressive proportions. Indeed, we could have predicted as inevitable this resistance and rebellion against the arrogant pretences, the calumnies, the disloyal thinking and the anti-Italian and anti-Christian theories of the Communists. We are still overly afraid of these deluded masses manipulated by godless men. The repression continued in subsequent years, reaping fresh victims among the ranks of Socialist and Communist trade unionists from Placido Rizzotto and Salvatore Carnevale. This repression was also bound up with the fate of the peasants’ movement as well as the unresolved Southern question — the class struggle outside of the factories. In these years the Left had to understand this relation between the proletariat and class struggle, between organisation and class alliances, so as to provide a way forward of its own. The centre of her activity was Caccamo, one of the towns in which the mafia had stopped the Communists from taking part in the local elections. She challenged the power of the mafia boss Panzesca, and when the Communists then did stand in the 1962 vote, they won four seats. But this was a relative and rare success. Soon afterward Pegna left the island, shaken by the mafia threats and the sense of isolation. Indeed, the mafia had never halted their fire against trade unionists of Communist and Socialist background. If in the 1955 regional elections the parties that comprised the People’s Bloc stood on separate lists for the first time since before Fascism, during the campaign they maintained a common front against the mafia. After all, earlier that year the mafia had killed several militants including Salvatore Carnevale, a labourer in the sulphur caves who was also secretary of the CGIL trade union’s section for builders. The Christian Democratic authorities (including the mayor) failed to show up for his funeral but the mineworkers and farm labourers turned out en masse. Most became workers and precarious labourers in the industries of the North, where their struggle would continue in all the sites of exploitation both within and outside the factory. This created a rift in those orthodoxies that tended to see the factory worker as the revolutionary subject rather than the working class as a whole. Yet this experience can also enrich contemporary debates on class struggle and migration. A public body designed to put billions into financing the development of the South, the “Cassa per il Mezzogiorno” allowed the mafia to rack up profits and capital, becoming an economic power that would soon also shift to the Northern regions with even greater opportunities for profit. What followed were decades of bloodshed and mafia clan wars in which no one was spared — culminating with the killing of the carabinieri [military police] general Carlo Alberto dalla Chiesa in 1982 and the judges Giovanni Falcone and Paolo Borsellino in 1992. Despite its own internal strife, the mafia also hit out at the opposition coming from Communists and the legal system. Exemplary of this was Peppino Impastato, the militant murdered in 1978, who was himself son of an affiliate of the Badalamenti clan. A young communist active in the extra-parliamentary left of the 1960s and 1970s, he supported the struggles waged by workers, farm labourers, and the unemployed. But above all, he was a defiant voice of protest against the expropriation of peasants’ land to build the third runway of Palermo airport. This was the key power base of enemy number one, the Cinisi mafia boss Gaetano Badalamenti, whose control of the airport guaranteed a sizeable flow of drugs. 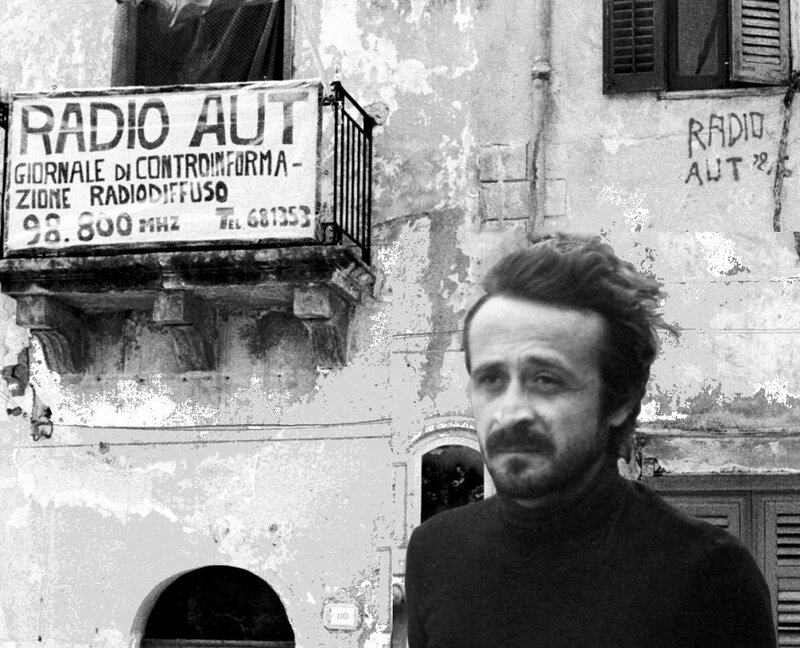 Peppino irreverently reported on these goings-on at street protests as well as over the airwaves through the radio station he founded, Radio Aut. It was because of his proposal — which later became law — that the mafia was recognised as a criminal organisation, a system, and thus was punished not only through the imprisonment of its members but the confiscation of the assets under its control, from real estate to businesses and farmland. For the Communist, to strike at the heart of this business — part of capitalism — demanded an assault on its power to accumulate and its control and ownership of capital. More than three decades have passed since that law was introduced, and the mafia is not dead yet. It has proven capable of transforming and working its way into the inner labyrinth of Italian capitalism, on the basis of the vast economic power it has been able to accumulate. Cosa Nostra is no longer using its weapons nearly as much as before. But it remains in control, in the absence of the organisation and belief in progress that once drove so many communists to cut away at the roots of mafia power. Marta Fana is the author of Non è lavoro, è sfruttamento (This Isn't Work, It's Exploitation) and an editor of Jacobin Italia.